Not having the band there brought a togetherness from the guests like we have never seen before. It really was amazing! The quality of your sound system saved the day with the music and the fact that they invested in the lighting display at the front created a centre point for the dancing. We loved every minute! So much so, we worked for an extra 3 hours for free! 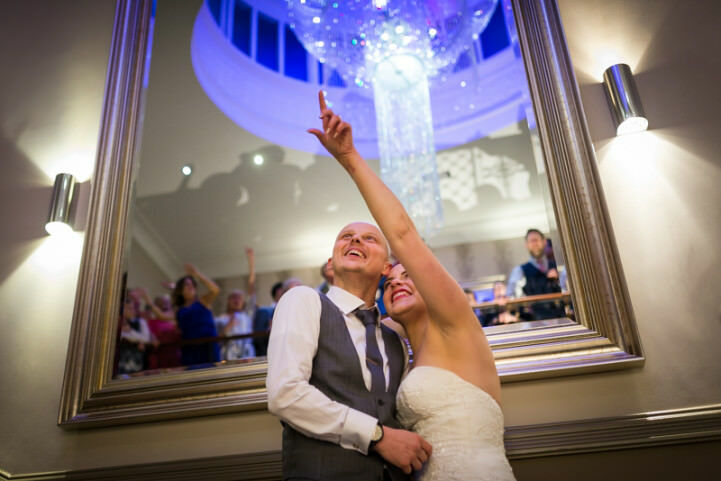 Capturing those images at the end when Claire & Craig were being serenaded was the icing on the cake for us. Wouldn’t have missed it for the world! The proposal when & where did this happen? Craig proposed on 3rd March 2015 in Paris, overlooking Notre Dame on the Pont de l’Archevêché bridge where we had put a padlock on the year before. 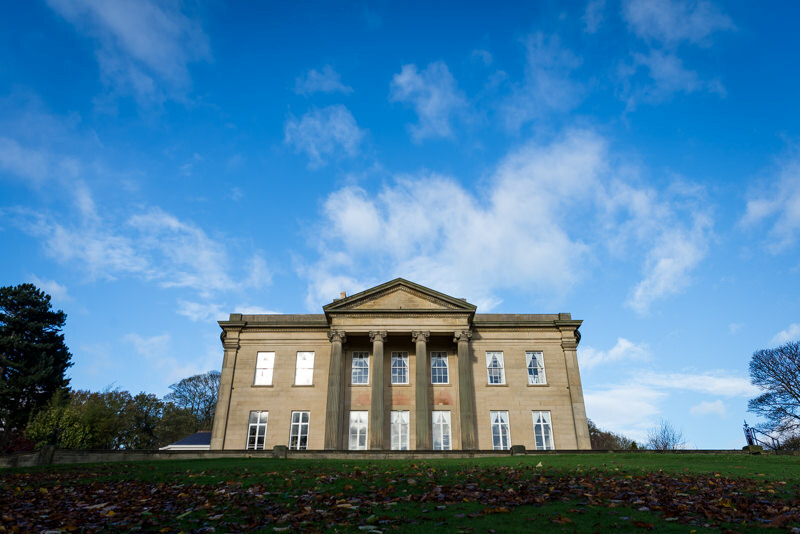 Main reasons why you chose The Mansion? 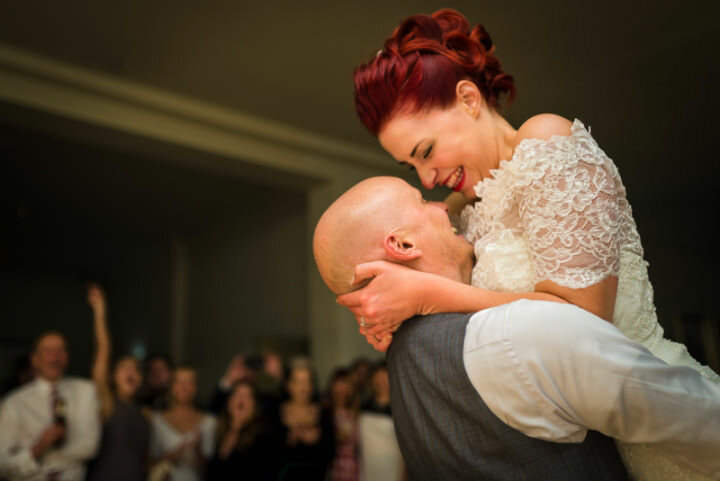 The Mansion was the first venue we visited and Claire fell in love with it straight away. No other venues we visited matched up to The Mansion so it was an easy decision. 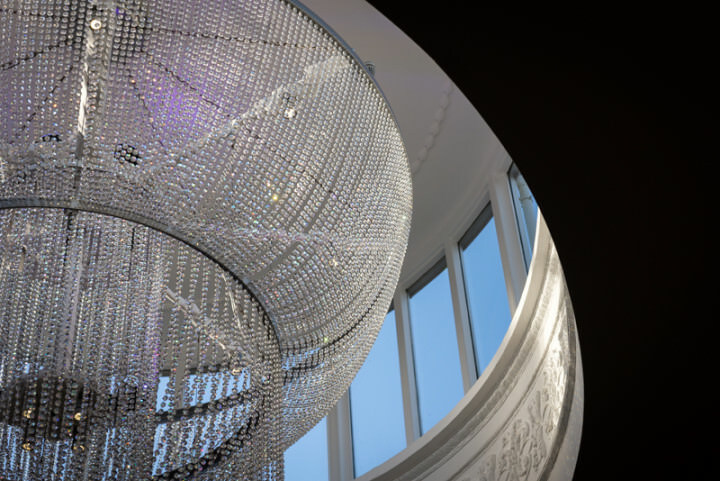 We loved the modern feel inside, the staircase sold it to use, its so grand and the chandelier is amazing. 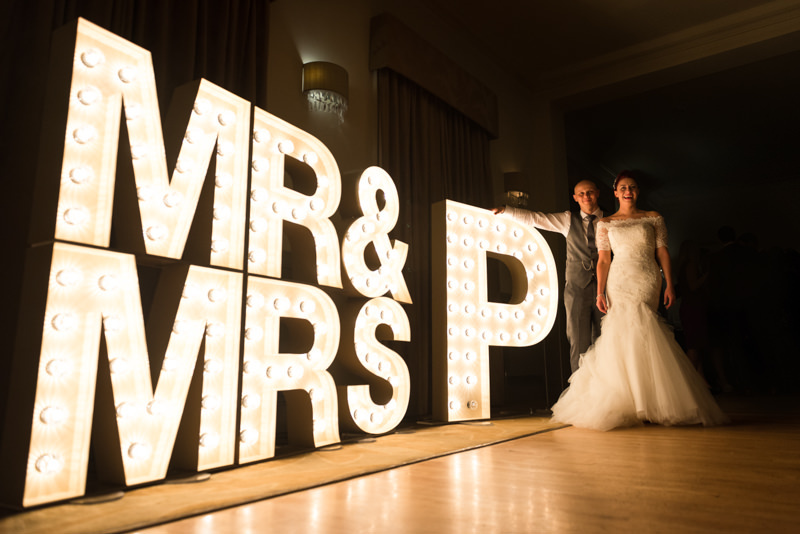 Did you have any particular theme or style for your wedding? 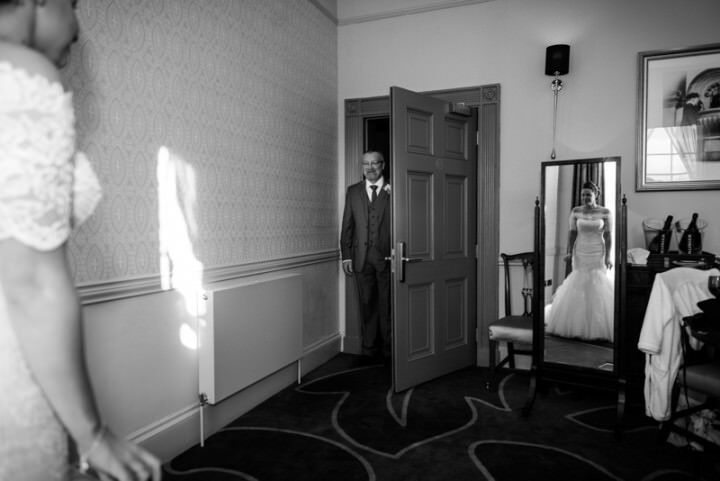 Our colour scheme was white and grey – we wanted something simple and not fussy or over the top. Describe your dress and where it was from? 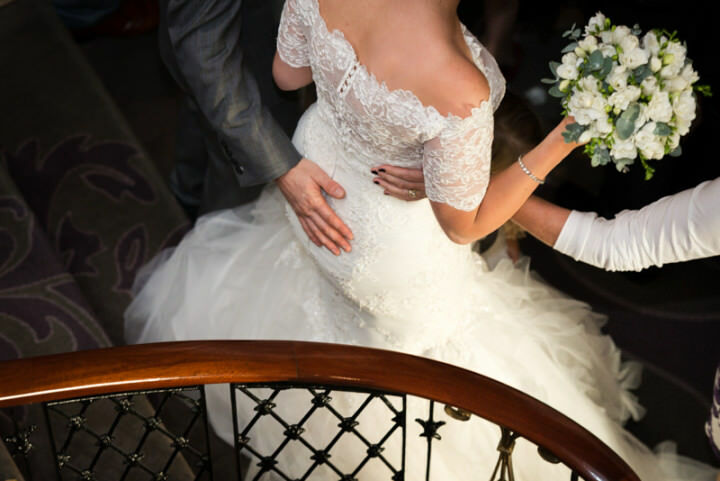 Claire – my dress was a pronovias mermaid style dress called Maitza which I wore with a backwards jacket called a Sandra which was from Joana on Kings Road in Harrogate. Craig – had a custom made suit by Matthew at The Gentlemans Tailor. Who was your photographer on the day? Jonny and Brigitta from Avenue White, we cannot praise them enough for their work on the day! Did you have flowers, if so, who was the florist and did they advise you? Louise at 4 Seasons in Harrogate did our flowers, we didn’t have a lot of fresh flowers on the day but she ensured what we had incorporated the flowers I wanted to include (tulips and freesias) and advised us on what would work at that time of year. Did you have a cake, if so who made it? 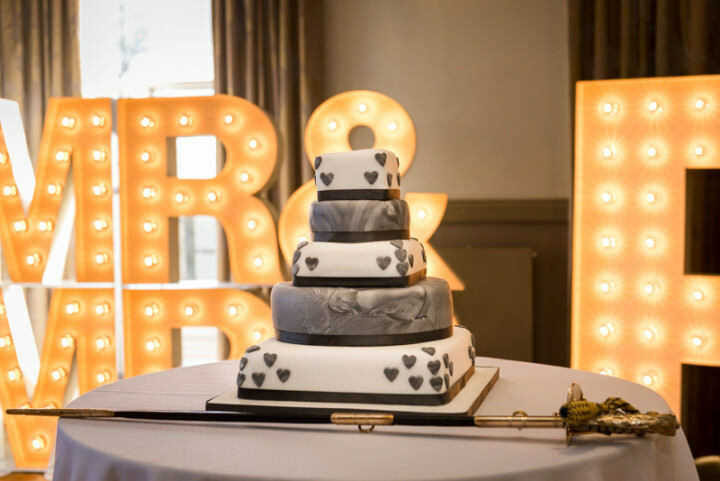 Our cake was made by Claire’s mum – all 5 tiers were different flavours (that’s what happens when you leave the wedding cake design to the groom and his nephew!) and all gluten free. How did Dine help with your choice of menu and drinks? We love food and enjoy eating out so the food choices for the day were really important to us! Claire eats gluten and wheat free and Dine were able to help us design a menu around this (and our guests other dietary requirements) and include Craig’s favorite dessert – profiteroles! 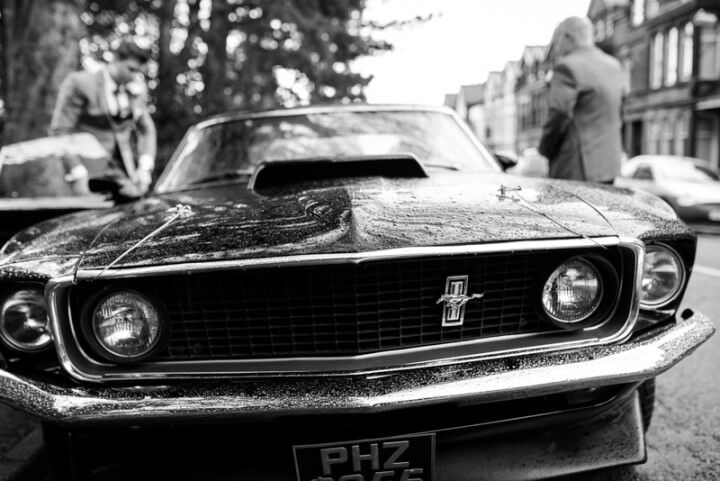 What mode of transport did you choose for the day? Claire was taken to get ready at the venue from her parents house by a white limo. This is almost impossible to decide, the whole day was incredible, but seeing our friends and family gather on the stair case and sing to us because our band didn’t turn up was something very very special! Any “special touches” that you feel added to your day? 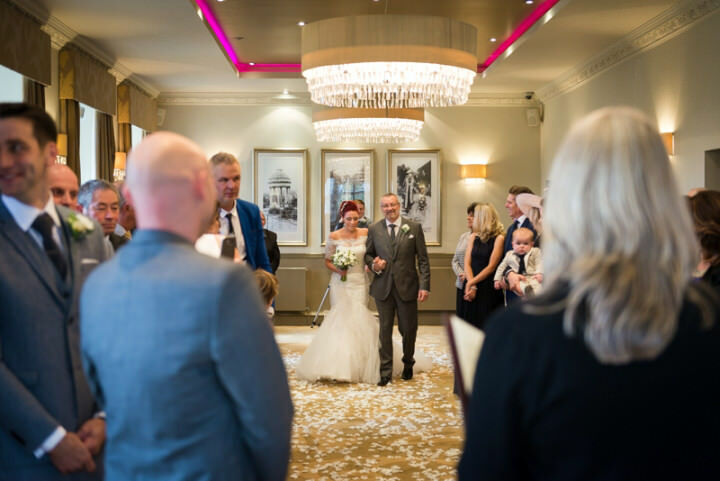 We were very lucky that Claire’s mums close friend is a registrar and was able to conduct our ceremony, it made the day much more personal for us. A lot of the venue decoration and stationery were handmade by Claire and her friends and family. 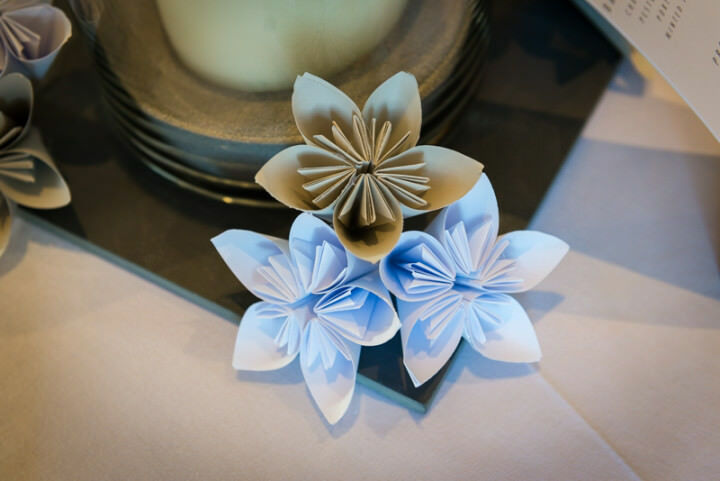 They folded 2,600 pieces of paper to make paper flowers for the centerpieces and to decorate the venue. 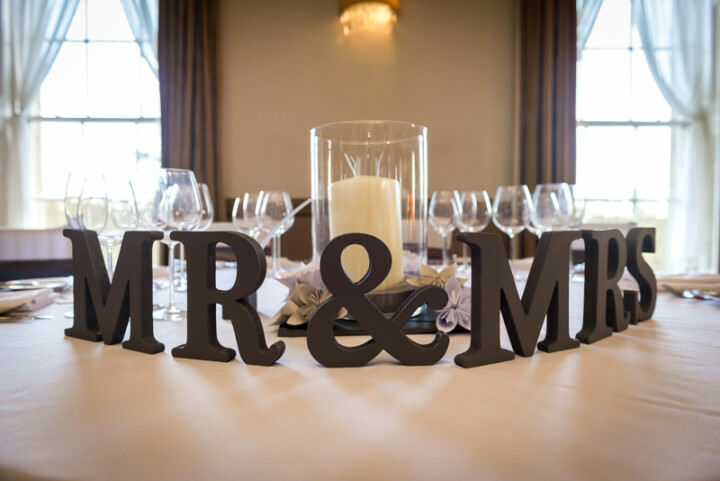 Did your Dine Event Manager do anything to make your day extra special? Craig was amazing! From day one he was on hand for every question Claire had (there were A LOT!) and wasn’t phased when we turned up the night before the wedding with a “wedding guide” of how we wanted everything to look on the day! Craig was perfect he was just there when you needed him without having to find him we can’t praise him enough. As mentioned before our band didn’t turn up and Craig was on hand to help Claire’s Dad and Craig try and find a solution without a lot of our guests realising there was something wrong. The honeymoon, did you go away and if so where? We went to Venice on a mini-moon for 4 days on the Monday after the wedding and are going on the big-moon to the Maldives in March. Any top tips you are willing to share for Brides & Grooms-to-be? It’s sad to say but it does go by in a flash, make sure you take 5 minutes together every now and again during the day to make sure you are having the same day. 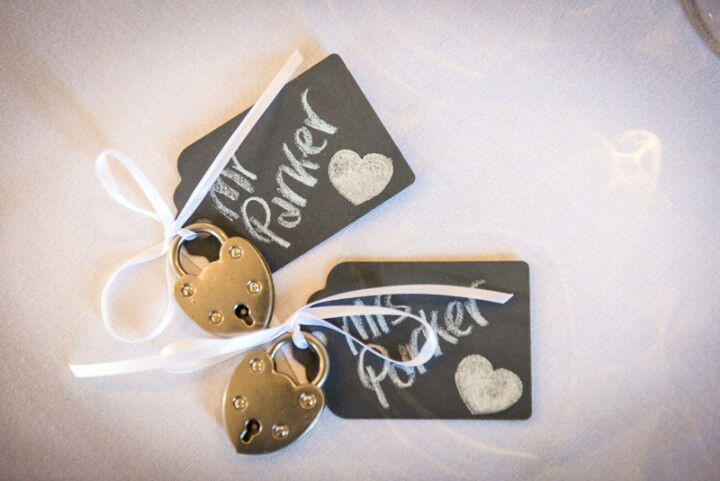 Try not to stress about the tiny details, in the end the chances are the guests won’t even know they are missing. 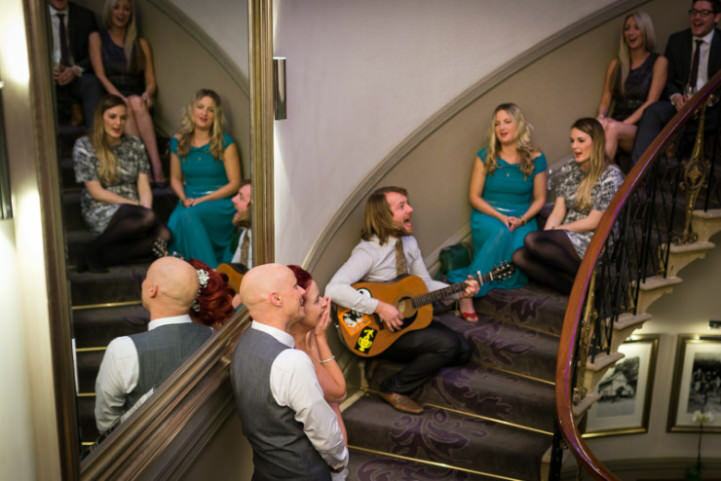 Our band not turning up could well have been a disaster if it hadn’t been for our amazing friends and the Dine team, make sure you check all the suppliers have the right date in the diary, and then check again! From the day we got engaged we said we didn’t want anything big and fancy and I think we managed to keep what we wanted in our heads all the time. It is really easy to get carried away with what you want and think you need, but at the end of the day we just needed each other and the people we love there. Of course! The Dine team all go above and beyond and make you feel like your wedding is the only thing that they are working on. The whole team was beyond amazing on the day. They were all friendly, helpful and are a real credit to the company. We cannot thank them enough for making our day perfect!